Are your employees really your greatest asset? The first tweet I saw this morning was from Simon Heath. He was calling out that old staple ‘your employees are your greatest asset’. It is a statement that has become a cliché. It’s also a cliché to say that actions speak louder than words. In the case of employees, it is most definitely true. Anyone can say that employees are their greatest asset. In much the same way that anyone can come up with a generic list of values and put them on a website and into the corporate induction. When it comes to leading people, words are just words. Whether you really mean them is shown up in your actions, in the every day. Putting aside the idea of employees as assets (something that I instinctively dislike), this is something you shouldn’t get to say unless you mean it. If people are your greatest asset, don’t say it, prove it. It should be evident in your recruitment practices, your people policies, the reward that you offer, the learning opportunities in place, in the actions of your leaders. Do you pay the living wage? Do you go out of your way to create a great candidate experience? Do you have an induction that supports this statement? Do you invest heavily in your leaders so that they can bring this to life when it comes to leading their teams? Do you have a way to give people regular feedback on their performance – and I don’t mean a once a year appraisal. Do you have awesome internal communications? Do you offer people the freedom to do their best work? Do your people polices treat people and speak to them like they are adults? Do you invest in people’s development even when budgets are tight? Do you offer a range of rewards that are flexible and meet the individual needs of your employees? Do you treat your employees as well as you treat your customers? As a minimum, if you can’t answer yes to these questions, then your actions don’t match your words. You are not treating people like they are your greatest asset. I saw some discussion on Twitter recently about measuring employee engagement. I can confirm that I was polite in my contribution. Of course if measuring employee engagement is something you feel it is important to do, then there are the obvious solutions. Annual surveys and pulse surveys and temperature checks. Surveys on paper surveys on apps. Big fat long surveys and little ones too. Hit a button as you leave the office emoticon style how are you feeling today type checks. They are all there to choose from. To measure something for you. Because of course there is more to engagement than percentages. Filled in forms and one to five ratings and net promoter scores and do you have a best friend at work? I’ll confess. About all of that I am so….. meh. I get it. Evidence. Proof. Business cases and return on investment and a basis for decision making. But there is more to how your employees feel than numbers. The day to day experience can’t easily be quantified. Percentages are neat and tidy and precise. But people are not. So here are my strictly unscientific, untidy, unquantifiable and entirely subjective ways to assess how your people really feel about working at your place. No survey required. First up. Good noise. I always think that when people are happy at work, when there is some team spirit going, on you can not only feel it but hear it. There will be laughter and chatting. Good noises, team noises, having fun and working at the same type noises. Silence… tells you something else. Next is absence and lateness. Something that you can actually put a percentage on if you choose. I don’t mean the genuine stuck on the motorway serious illness sent home because they look terrible sort of absence and lateness. Instead the I can’t be arsed type. The dog ate my homework type. Which really translates into I don’t really care all that much. And you know you know the difference. The state of the place. Disengaged employees don’t care about where they work. Sometimes, very low levels of engagement translate into deliberate damage to the environment. I once worked for an organisation in which casual damage and graffiti were rife. If people like their jobs and like their colleagues they will be part of making it a nice place to be every day. Collaboration. Especially when it comes to new stuff and change. Engaged employees will pitch in, ask questions and take it on board. People who are disengaged, won’t. See next point. Moaning. People who are unhappy at work, moan. Simple but true. And if there isn’t anything to moan about they will moan about that. From the big stuff to the minutiae. Pity parties all round. Ideas. Engaged employees have ideas and are willing to share them. You will get suggestions for improvements, sometimes without evening asking. They will speak up because they feel that they can and they want things to be better. Grievances. Employees have a legal right to raise a grievance and have it dealt with in accordance with the ACAS code. But when employees are engaged and have strong relationships with their managers you are much more likely to see people having conversations about their issues in an adult way rather than writing a formal letter. Ditto discipline. The extracurricular. Engaged employees come to learning events. They take part in team activities. They are part of the dress down day, the charity bake-off, the wellbeing month and the team lunch. Because they want too. When people are disengaged, for whatever reason that may be, they will put often put themselves outside anything that is strictly the day job. Finally, and perhaps the most telling of all. The language that people use. How they speak to each other. Whether it is broadly positive or negative. How much time is spent in criticism or in anger. Them or I. The management or us. They or we. So by all means run your survey. Figure out a percentage and where you sit in comparison to other companies and set a target for next year. But don’t forget to look and listen to what else your people are telling you about their level of engagement. Even when they don’t even know it. A backwards look through my former blogs will show me to be an employee engagement cynic. Not that I think engagement isn’t worth striving for. Caring about or understanding. I am cynical about how we have packaged it to our organisations. The faith we put in it, without evidence. The bandwagon that we wholeheartedly jumped on. The way that we attempt to measure it. The industry that we have created around it. The rhetoric and the infographics. But employee engagement is one thing. Employee experience is another. Engagement is a funny old thing. Ultimately it is about people and their feelings. Hard to understand and measure under any circumstances. It is also about purpose and meaning, both intensely personal issues. You can have high engagement in crappy organisations. If the purpose and meaning is present, if the work is a vocation or a labour of love, then within reason the working conditions, the nice to have benefits and the promotion opportunities and so on…. they somehow matter a little less. Equally, you can have low engagement in organisations that have all of the things. You can have the best learning and development, reward frameworks, career pathways, fancy offices, flexible working and even a slide, but the heart can still be absent. I know of an organisation that, if you created a HR wish list that would include everything so-called best practice they have it all. From an impressive induction, wide-ranging flexible benefits programme, effective performance review mechanisms, pretty good leadership and the like… all of the good people stuff. But if you looked at their engagement score then they would look pretty poor. And that survey isn’t telling them why. My theory is that they just don’t have that emotional connection. That something, somehow, is out of step in the actual experience of working there. There is a disconnect. Engagement can be created…. to a point. It can be measured….. sort of. But it will always be an outcome of a whole host of variables, some that the company can influence and some that it cannot ever hope to. Engagement is made up of company stuff and me stuff. What is very much more capable of positive influence is employee experience. Put simply, what it is like to work at your place. From the first contact as a candidate to keeping in touch with a leaver. Every single step in that thing we call the employee lifecycle. Making it as easy, interesting and awesome as it can possibly be. Making the interactions count. Making the meaning. Every communication, every process, every approach. Every day. To adopt a cliché, focusing on engagement is like putting the cart before the horse. It is focusing on the outcome, the end of the process, and not how you get there. Experience is the thing that, so far as it is even possible, will help you towards that outcome. So maybe the question is not how do we improve employee engagement. It is not how do we increase the overall percentage to that fabled upper quartile. But how do we make the employee experience the best that it can be with what we have got. How do we make people feel. In all of that people stuff that we do. A new approach to employee engagement. I’m at the HR Summit in Birmingham, hearing from Marshall Goldsmith. Best selling author, leading executive coach and recognised as one of the worlds most influential business thinkers. He is here today to talk about the subject of employee engagement. It’s a topic that I have mixed feelings about, as a backward look over my past blog posts will demonstrate. So I’m interested to hear what he has to say. What is new about this subject that has had so much written about it already. Only he didn’t talk all that much about employee engagement. He talked of other things instead. Ideas, thought provoking notions, and challenges too. So many that they were hard to capture in a live blog. We spend so much time trying to be right. Our behaviour is triggered by what is around us. Someone tells us that they have had a bad day and it is our immediate instinct to try and go one better and prove that ours was worse. We don’t have to do this. We can chose to do something else. In the moment between stimulus and response there is choice. We can take the positive road instead. We spend so much time thinking about tomorrow. This mythical place where things will be different. When we will finally follow our dreams. But tomorrow will be no different to today, unless we are. The great western disease: ‘I will be happy when……’ Complete as applicable. Be happy now instead. If you don’t follow your dream now, when will you? Just do it. Even if people think you are crazy. He goes on to recommend these exercises that he does with coaching clients. Set yourself a question that you can challenge yourself with every day. Imagine you are 95. You are about to take your last breath when you are given a gift. The gift to go back to talk to you, now. What would you say? What advice would you give? So I am sat here now, thinking of my question, thinking of the advice I would give, from my future self to me today. I know what it is. I knew it already, somewhere. But the session has made me think and that is why I enjoyed it so much. When he did speak of engagement, he said this. He looked at the research and listened to the standard engagement discourse. Talk of reward, leadership, surveys, and so on and so on. Companies talk about what they can do to engage their employees. They don’t talk about what employees can do to engage themselves. Most of the questions that are asked of employees about work are passive questions. Take this standard example – Do you have a best friend at work? Answer…. Nope. I don’t like anyone around here. End of discourse. Passive. The employee taking no responsibility for change. It’s someone else’s problem. Instead…. Ask these questions of people. Did I do my best today to…. Be happy, find meaning, build positive relationships, be fully engaged. If you knew you were going to be asked how you would improve this for yourself what would you do? In all the people he has asked this question no one has ever said ‘nothing’. If you are negative, disengaged or unhappy at work, in that meeting, everyday… then who loses? It’s not the company it is you. Finally, he said this. Life is easy to talk. It is not that easy to live. Graphic by those very nice people at IIP. A look through my blog will tell you I’m something of an employee engagement cynic. Not a cynic about the notion of trying to improve work, trying to improve the people stuff, but the concept. Its presentation, its bland, blind acceptance. The idea of employee engagement is not new, but the language was. The concept went from innovative, to bandwagon, to conventional wisdom quicker than you can say discretionary effort. If you work in HR, and you haven’t read Rob Briner’s excellent deconstruction of employee engagement hyperbole and its evidence base (or lack thereof), then you really should. You can find the link here. Employee engagement was seen as the answer. On its journey to accepted best practice, somehow it got presented as something that it is not. An absolute. A fact. Some sort of guarantee. That if we do these things that the consultants tell us, that the conferences and the speakers tell us, then we will see it in the numbers. We will see our profitability increase. We took case studies to be causation. Engagement was presented as the HR holy grail. By consultancies with money to make. By government backed organisations*. By us. And now we know that it isn’t so certain, after all. That even the report that claims to show the evidence, does anything but. More and more practitioners are realising it wasn’t all that new, after all. Because as I have blogged before, in HR this is what we have always done, always known. The employee engagement scales are now falling from our eager eyes, and we have realised that the Emperor was naked, after all. There are two questions left for me, on employee engagement. The first is this. Why did we buy into the concept so completely and unquestioningly? I think that part of it lies in that problem. You know the one. Our very own HR version of imposter syndrome. The seat at the table malarkey. No longer did we have to justify the people stuff. We had proof. We had evidence. We had numbers. Now we were serious. Maybe I am being harsh on us. Maybe it just summed up those things that we already believed, in a neat phrase. But I feel that we must look hard at ourselves in the mirror, all the same. My second question is simply this. Now what? We know what engagement isn’t. There are no neat numbers or percentages. No easy ROI. Off the shelf solutions. People are messy, complicated, challenging. We know that engagement surveys often don’t deliver what we hoped they would. We know that it can’t be a HR led programme. So where do we go from here? I’ve said this before, too. I believe that for all the amazing new opportunities that new technology and the future of work stuff that we see coming towards us, it is time to go back to basics at the same time. Focus on doing the people stuff well, and training managers to do the same. We don’t need any new theories. Let’s just get the Herzberg back out. It might be pushing 50, but I don’t discriminate on the grounds of age. If you’ve got problems in your hygiene space, start there. Focus on those things that disengage and demotivate. The theory isn’t perfect, I know that. Its been criticised for its failure to take into account the impact of personality types for starters. Well ditto employee engagement. I am still not entirely convinced how much you can actually change engagement at an individual level. How much of someone’s attitude to work is part of their bedrock personality. Maybe that is a blog for another day. But you take away the stuff that pisses people off. It is a good thing that employee engagement is being subject to scrutiny and criticism. Not because it is worthless or unnecessary, but because we should always apply a critical mind and think carefully about those things that we strive for or choose to champion in our own organisations. As well as my call for a little back to basics, there is also no need to throw the baby out with the bath water**. Seeking to do those things that make people like coming to work, connect with their organisation, have a better experience, is still core to what we do. I call it doing good people stuff. The CIPD say it is all about better work and better working lives. Call it engagement if that works for you. But whatever you choose to call it, carry on doing good people stuff, at your place. Just don’t promise that it can deliver something that maybe it cannot. *Ever wondered if this had anything to do with keeping trade union membership down? Just a thought. ** There are lot of clichés and metaphors in this blog post. Sorry about that. Over the years, I’ve heard them all. Right back to 2002 when the legislation was first introduced. Reasons to say no to flexible working. If I say yes to one, I’ll have to say yes to them all. It’s not the sort of job where people can work flexibly. It’s not the sort of company where people can work flexibly. It’s not fair on the rest of the team. We can’t offer it to every department so we shouldn’t do it for anyone else. I won’t be able to manage the person effectively. It will impact upon the customer. These objections have common themes. Generality. Vagueness. Fixed positions. More about the manager than the employee. Short term thinking. Taking the easy option. Because when it comes to the flexible working request, it can be easier to say no than to say yes. The press help to perpetuate the myths. When the right to request flexible working was opened up to everyone earlier this year, the rarely balanced Daily Mail published an article suggesting that small businesses wouldn’t cope, and that those who simply wanted a regular lie in were now able to demand the working pattern of their choice. The entire economy was at serious risk. Probably. Scratch the surface of the usual objections to flexible working, and underneath you may well find something else. A lack of appreciation of the possible benefits, instead, focusing on the risks or the potential problems. A misunderstanding of what fairness and equality is really all about. That a blanket no to everyone is somehow fairer than saying yes to a few. Closed minds. Sticking to what has always been done, how things have always worked. A lack of understanding that what people want from work has changed, is changing. Trust issues. Because they might not be working hard if no one is keeping an eye on them. Because it sounds like an excuse not to do much work. Misconceptions. Flexible working is something that mums with young kids want. Isn’t it? They simply can’t be bothered to deal with it. Flexible working isn’t a mum thing. It isn’t a carers thing. An approaching retirement thing. A working from home means watching the Jeremy Kyle show thing. Flexible working is a talent thing. Attracting it, engaging it, keeping it. It’s a valued benefit thing. Because there is something else that I have noticed over the years about flexible working. How when you try it, the world doesn’t end. The company does not stop functioning. There are no riots. Profitability does not collapse, and neither does customer service. Very rarely do other employees resent it. One request does however, often lead to another. And still, the world does not end. So how about this as a challenge? No stereotypes. No knee jerk reactions. No outright rejections. Instead, open minds. Genuine dialogue about what could work. Giving it a go. Trust. One request at a time. 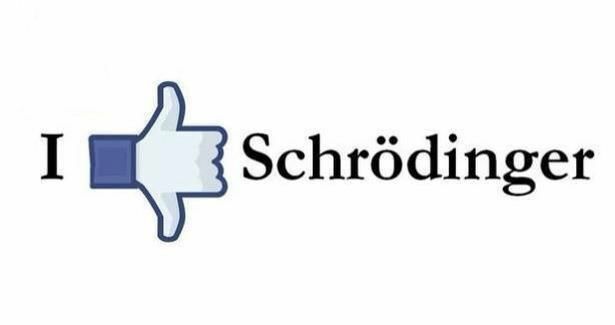 I met a man recently, whom I would describe, in true Schrodinger’s cat style, as both engaged and disengaged. Engaged with his job, his colleagues, his day to day. His job has meaning for him. He has friends there. The hours suit him fine and the pay isn’t too bad. The working environment makes the grade. He knows what is expected of him, he has all of the right tools and equipment, the opportunity to do his best every day. Willing to do the discretionary effort thing, when it’s needed. Proud of a job well done. He even has a best friend at work. Many of the Gallup measures ticked off, right there. Although he wouldn’t fill in any kind of survey, if you asked him. The last time he was sent one, he said that They could stick it right up Their arse. When he told me this story, he mimed it too. Screwed up an imaginary piece of paper into a ball, tossed it into an imaginary waste paper basket. And followed the imaginary trajectory with a not at all imaginary two fingered salute. They don’t understand what it’s like on the shop floor. They don’t know what it’s like outside of the nine till five. They sit in their ivory bloody towers in the head office. They send out surveys and they take no bloody notice of what you say anyway and they put a number on it so they can trace it back to me if they want to so I’m saying nothing. They gave us these stupid values. What a joke. As if anyone has got any time for all that when there is a job to be done and anyway, They don’t follow them. I know They don’t. They change everything every five minutes. They makes us go on all these training courses just to tick a bloody box. Engaged but disengaged. Engaged with the job but not engaged with the company, the management, the leadership, Them. So where exactly does this fit into the neat little employee engagement box? And then it dawned on me. That the They that he talks about, is me. Not me personally maybe, but someone just like me. Sitting in an office, crafting policies. Sending out surveys. Launching initiatives. Making people plans. And all the time, he is seen, but unseen.